This year we have a brand new baby in our family. His name is Evan and I am a very proud Aunt. He will be 3 months old by the time Christmas arrives and I have really enjoyed Christmas shopping for a baby again. It's very important for me to focus on buying him good quality educational toys that will stand the test of time rather than cheap plastic tat (you know the sort!). With this in mind, I have designed his very own Christmas Gift Hamper and I'd love to know what you think. 1 - First of all you need to buy an inexpensive basket. I picked one up for less than £5 with my grocery shopping at our local supermarket. 2 - Next, consider your budget, I could have honestly spent a fortune but ended up spending around £50 in total. 3 - Now to start shopping! 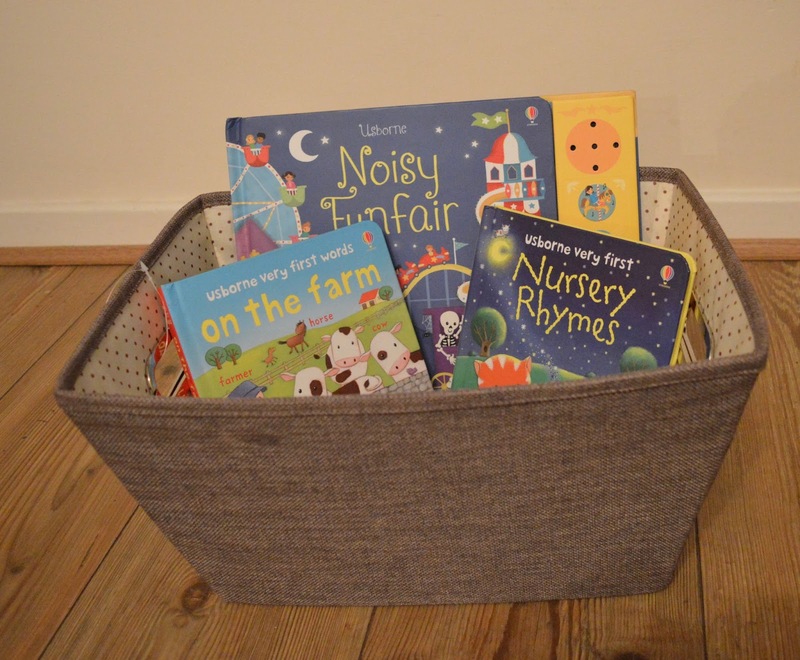 I decided on a nice selection of baby books as I believe you are never too young to start reading and it has been proven that talking to a baby boosts their brain power. 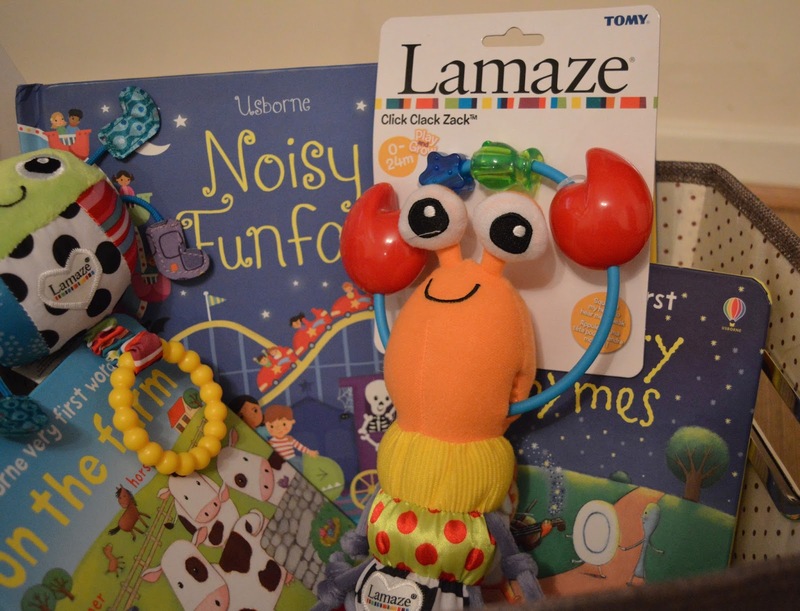 4 - I also included a couple of Lamaze teethers and rattles which have been developed by experts to challenge maturing motor skills and captivate their imagination. 5 - Finally, I included a cuddly Iggle Piggle toy as soft toys can help children develop emotion and engage in imaginative play (plus he is cute!). 6 - I will finish my gift hamper by wrapping in cellophane (available from a local florist) and tying with a ribbon ready for Santa Claus himself to deliver on Christmas Eve. 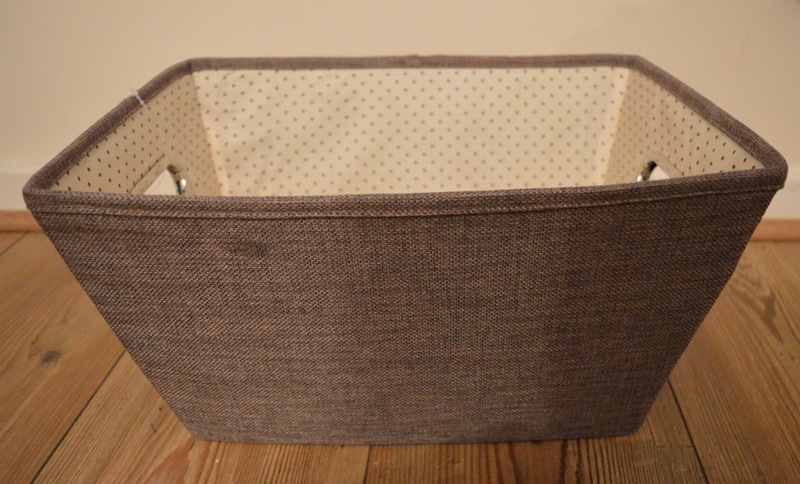 I'm really pleased with the finished basket and I'd love to hear what you think. 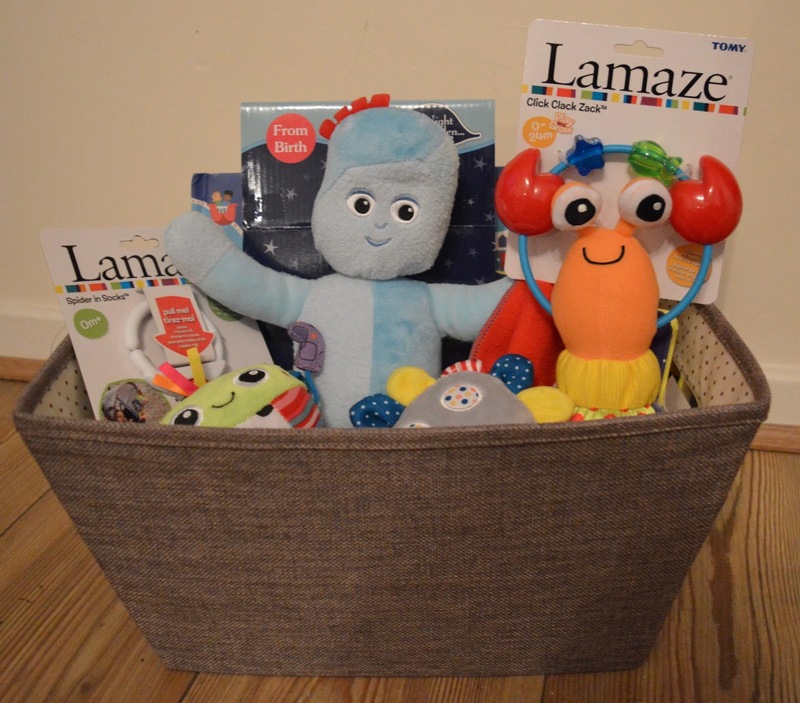 For some other awesome ideas, make sure you check out this list of unique baby gifts by My Kid Needs That. If budget allows, you could fill a play gym with smaller educational toys and wrap the whole thing in cellophane. I think this really would have the WOW factor on Christmas morning. 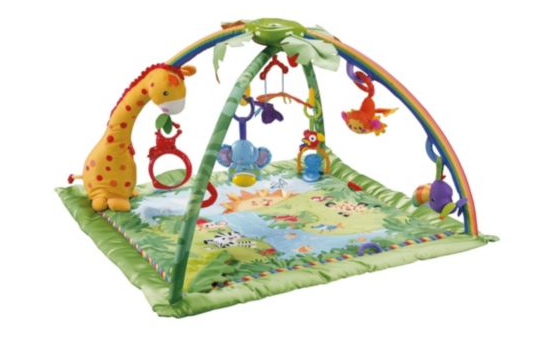 Bouncing up and down is lots of fun for babies and the perfect to encourage them to explore their surroundings and develop motor skills. 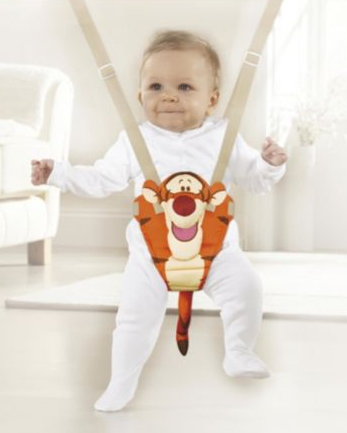 I like the idea of creating a hamper around a tigger door bouncer - you could add Winnie the Pooh books and soft toys. I have tried this idea for a little one before and it really makes a wonderful gift. Simply choose 10-15 classic children's books and pile them into a basket before wrapping with cellophane. The Gruffalo, The Tiger Who Came to Tea, The Very Hungry Caterpillar and We're Going on A Beat Hunt are all excellent choices to include. You could even try filling a basket with Christmas themed books. 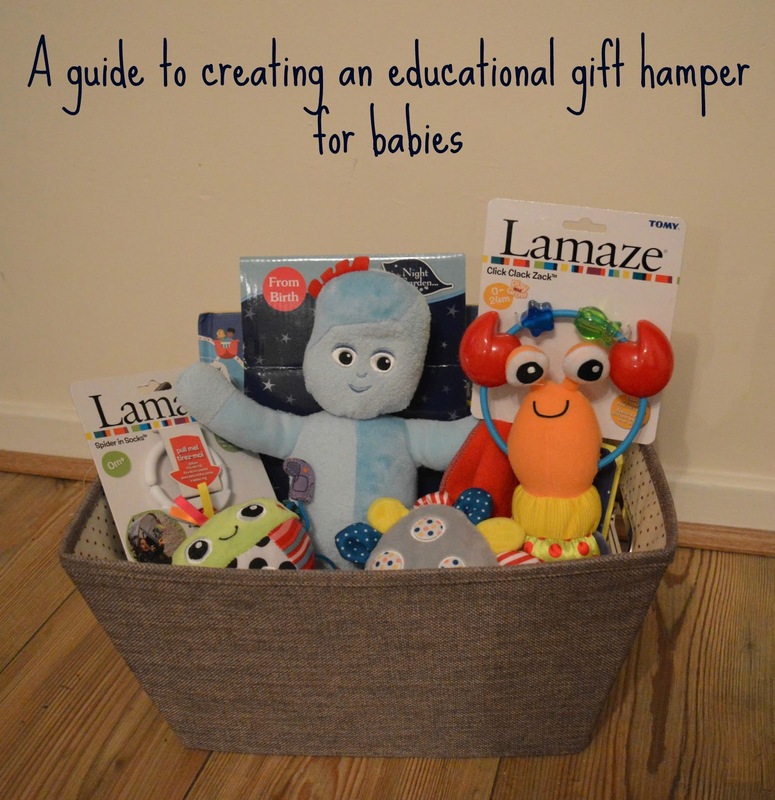 In my opinion, babies are definitely not too young to join in with the magic of Christmas and an educational gift hamper really shows you have put some thought into the present yet isn't too difficult to put together. Will you be shopping for a baby this Christmas? I'd love to hear what's on your list for them. Gorgeous I would have been very pleased with this selection when my babies were small!